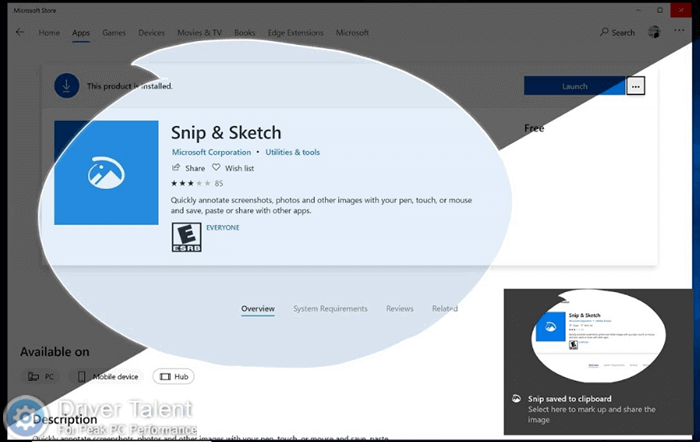 Do you know Snip & Sketch, a new Windows screenshot utility introduced with Windows 10 October 2018 Update (also known as Windows 10 version 1809)? It will take the place of the previous Snipping Tool. In the beginning, it’s called “Screen Sketch” and is introduced as part of the Windows Ink Workspace. With this utility, you can easily capture a screenshot and annotate it with simple steps. Don’t know how to take screenshots with Snip & Sketch in Windows 10? Take it easy. This guide will show you how to achieve it. Read on to check it out. How to Easily Take a Screenshot with Snip & Sketch? 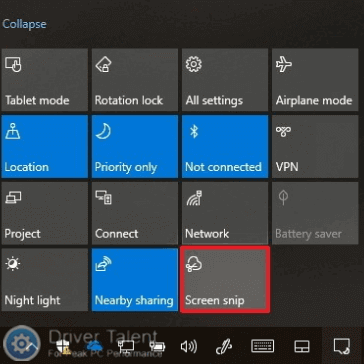 There are several methods to capture screenshots in Windows 10 by using Snip & Sketch. You can choose one of them that you like. 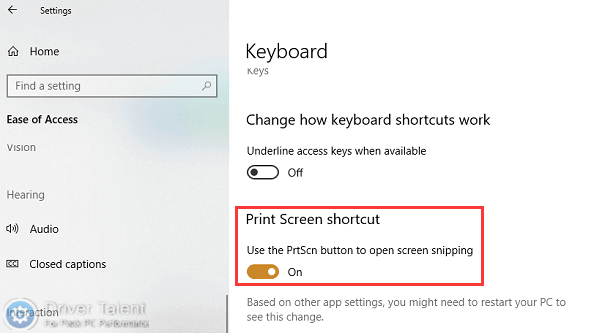 If you are using Windows 10 version 1809, you can quickly snip your screen by pressing the keyboard shortcut Windows + Shift + S. It will bring up a snipping toolbar in which you can choose to snip a rectangle, freeform or full screen. And the screenshots will be saved to your clipboard. Step 1. 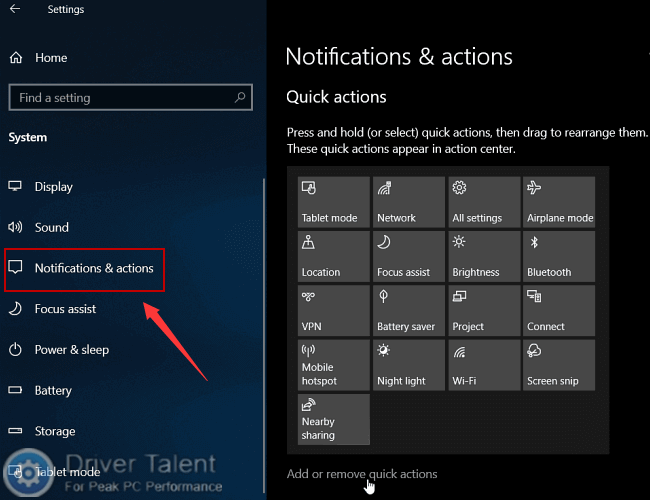 Launch Windows Settings and select Ease of Access. Step 2. Click on Keyboard. Step 3. There is a toggle switch that says “Use the PrtScn button to open screen snipping” under Print Screen shortcut. Turn it on. Now you can take a screenshot with just a single key press. Step 1. Use the keyboard shortcut Windows + A to launch Action Center or click on the Action Center button in the notification area to open it. Step 2. Click on Expand. Step 3. You will find the “Screen snip” quick action button there. Click on it to start your snipping. Note: If you can’t find the “Screen snip” quick action button in Action Center, go to Settings > Notifications & actions to enable it. How to Annotate a Screenshot with Snip & Sketch? With Snip & Sketch, you can not only capture a screenshot but also annotate the screenshot. There are a lot of tools included in Snip & Sketch for you to annotate a screenshot, including ballpoint pen, pencil, and marker. You can use these tools to customize your screenshot. That’s it. 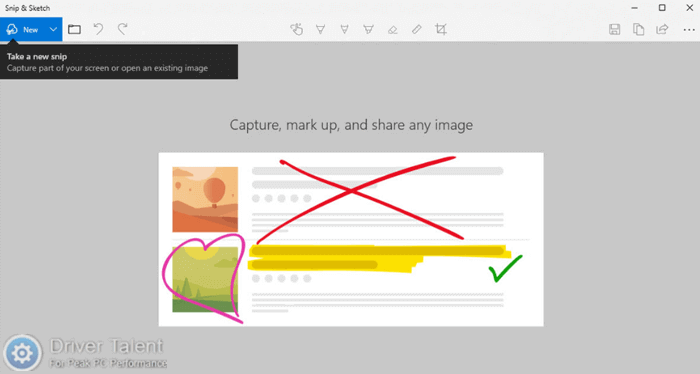 Isn’t it easy to use Snip & Sketch to take screenshots in Windows 10? Give it a try right now. If you need further assistance, leave comments below to let us know. To get more useful computer tips, please click here.